Not only do trees look beautiful and comforting, they also serve as a shield of protection for your property. Having trees in your backyard is like having Mother Nature's masterpieces in your home. However, sometimes, things can go wrong and you may have to decide whether you need to keep the tree or have it removed. 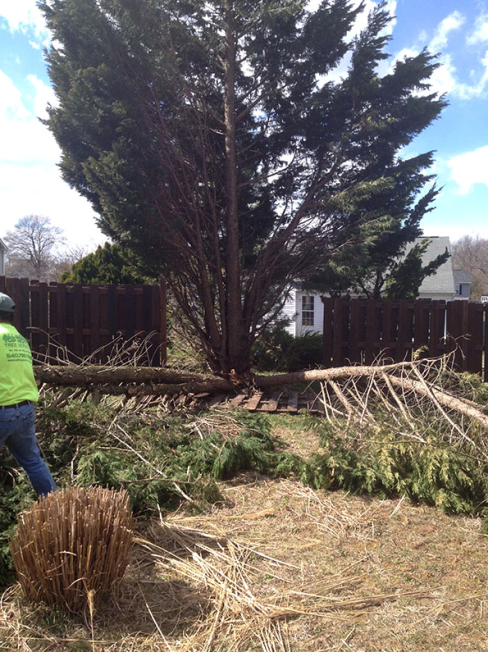 Removing a tree from your backyard, and ultimately from your life, is never going to be an easy experience, but you have to take the difficult step to prevent further complications. Here are a few signs suggesting that you might have to call a tree service and remove it from your property. · You notice branches overhanging on your home. You usually have this issue after a storm because these branches may have been broken by strong winds. These broken branches can fall on your property and damage your room, siding, or even gutter system. Repairing these issues can be an extremely costly endeavor, which is why you should think fixing the problem before it spirals out of control. You have to decide whether you need to remove the branches only or call in a professional to remove the whole tree. The thing is that you can consider trimming the branches if they are small enough – it will help save the tree. You may have to remove the tree itself if the branches are large or you notice a part of the trunk leaning towards your property. It is better to be on the safe side when you do not know the extent of damage. · You have a diseased tree. It is not a good idea to have sick trees on your property. You should have a tree treated the moment it starts showing any signs of disease. Leave it for long enough and you will have it fallen on your property that can cause a serious damage. Therefore, it is important to educate yourself about the signs of disease to know if you should call a tree service to remove it or not. Some common signs include rotten roots, rotting branches/trunk, and weak branches that may fall off. Keep in mind that disease make tree prone to further infections that can make it fall quickly. Therefore, you should react quickly and remove a diseased tree from your property as soon as possible. · You notice fungus growth on the tree. It is important to inspect your tree often to ensure it does show signs of wear and tear. You should also ensure that there is no sign of fungus. The growth of fungus indicates that you have a diseased tree in your property. You are most likely to notice mushrooms growing on the trunk or may be around the base of the tree. If that is the case, call in an expert and have that tree removed for you.